Most people who are on their feet a lot, whether it's at their job, on their commute or when they exercise, know that orthopedic shoes can help with pain. But when Oprah Winfrey shared that she wears orthopedic slippers, we felt even more compelled to look into them. 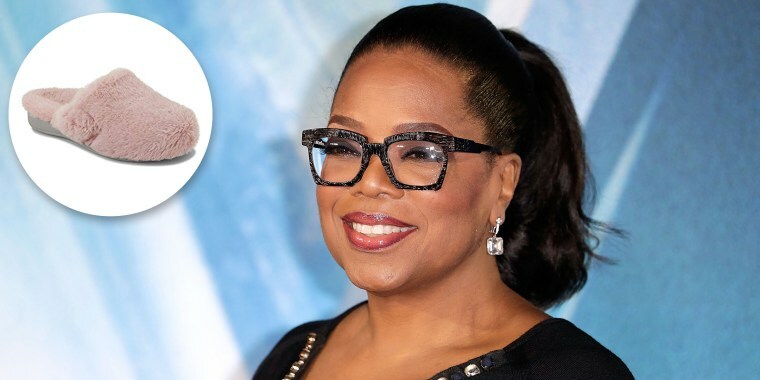 In December, Winfrey shared her annual list of favorite things and one item that popped up was a pair of plush slippers by the brand Vionic. Also available at Vionic and Zappos. "These slippers aren't just for shuffling around," Winfrey explained in the December issue of O the Oprah Magazine. "With an orthotic footbed, they're bound to put a spring in your step. I slipped them on and thought I was walking on cloud fluff." 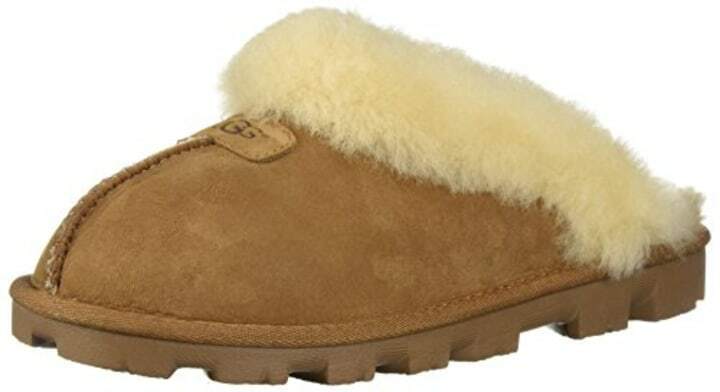 The Gemma plush slippers are available in women's whole sizes 5-12 and they come in blush, black, ivory and light tan. 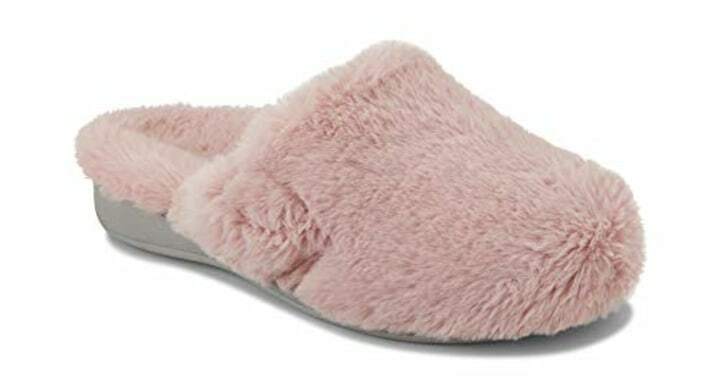 They're so comfy that Winfrey was also captured wearing the blush fuzzy slippers between shots on the set of her annual Favorite things photo shoot. According to podiatrist and Vionic Innovation Lab member, Dr. Jacqueline Sutera, shoes with built-in arch support give our bodies an advantage over flat and thin shoes with no arch. "This biomechanical advantage includes features which can provide relief from plantar fasciitis, heel pain, tendonitis, flat feet and generalized inflammation," she explained. "These conditions can also contribute to knee, hip and back pain. Wearing shoes that are good for your feet is also helping your entire skeleton." The Vionic slippers offer arch support, cushion and shock absorption. "This technology includes a deep seated heel cut and a contoured foot bed designed to make more contact with the entire sole of the foot," Dr. Sutera added. Board certified podiatrist Dr. Sophia Solomon added that as we age, the fat pad that cushions the sole of the foot tends to thin and cause us to experience foot pain. "Orthopedic footwear is made of softer, more accommodating materials which aim to decrease the forces traveling through our foot as we walk," she said. Also available at Zappos, Ugg and Journeys. 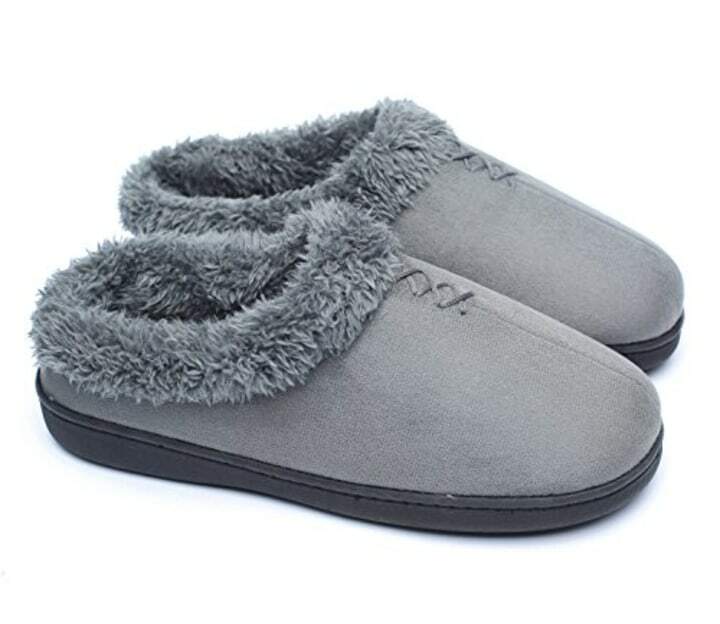 These slippers are made from sheepskin and have supportive rubber soles. They are also available in other color options including gray, pink, light blue, black and more. These floral slippers take the support of a pair of regular Crocs and add some cozy fuzzy lining. Plus, they can also be worn outdoors! 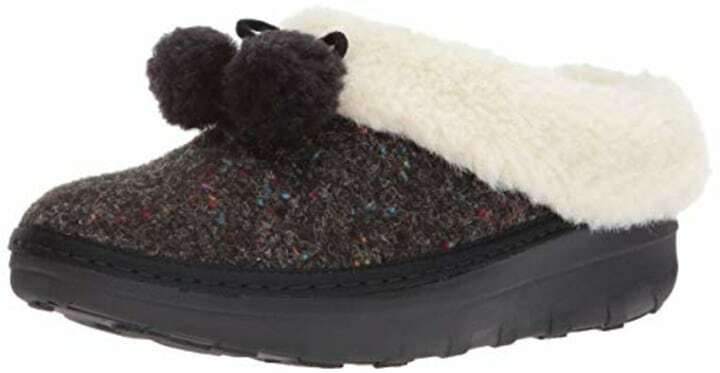 These slippers have a suede upper with a faux fur lining. They are highly recommended for their memory foam insole, according to Amazon, and they're sturdy and slip-resistant. FitFlop slippers have thick rubber soles for support and a soft interior. According to the manufacturer, the "microwobbleboard" midsoles are anatomically contoured for pressure diffusion and feature three levels of targeted cushioning. Both doctors urged us to avoid long periods of time going bare foot at home. "Walking barefoot at home can often make your feet ache due to the hard flooring and the lack of support a shoe would typically provide," explained Dr. Solomon. "Orthopedic slippers provide support to the arch, cushion the sole of the foot and stabilize the body while walking and standing." Dr. Sutera also warned that being barefoot too frequently can thin out and wear down those fat pads on our feet. 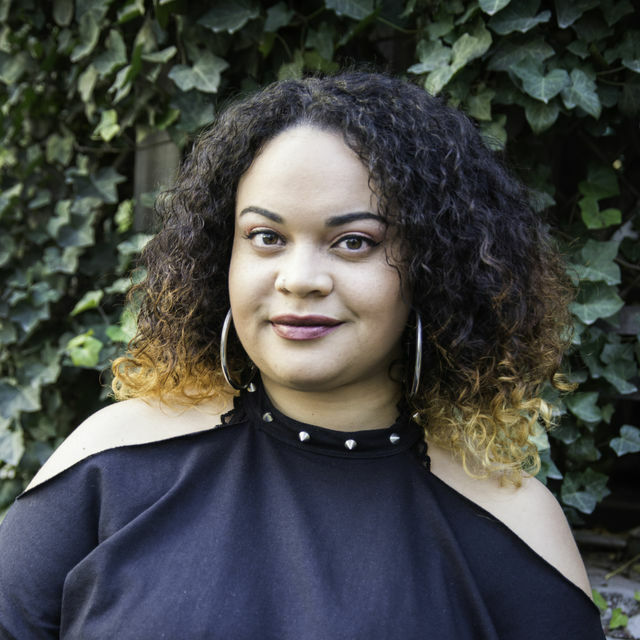 "Once this fat is gone it can not be replaced and you end up walking on skin and bone," she said. "This causes major problems and pains later in life." So basically, protect your feet with some cozy slippers!